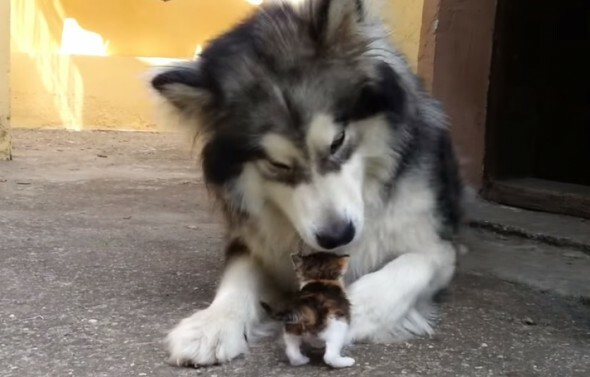 This poor malamute does not know what to do with this… thing his human has brought into the home. Now, his human wants him to “baby sit,” whatever that means, this noisy little thing. Bak’s human found the kitten, now being called Maju, after being abandoned on the street. 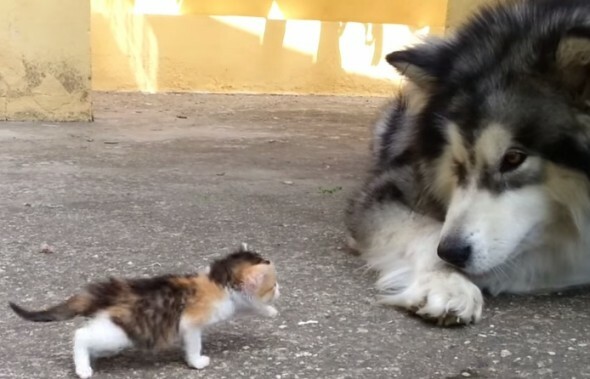 Popular thinking says that dogs and cats, generally, do not get along. However, for many of us animal lovers, (the writer of this story included) we know better. Many of us have cats and dogs that are the best for friends. At first Bak didn’t know what to make of things. However, the humans of the house say they get along just fine now. 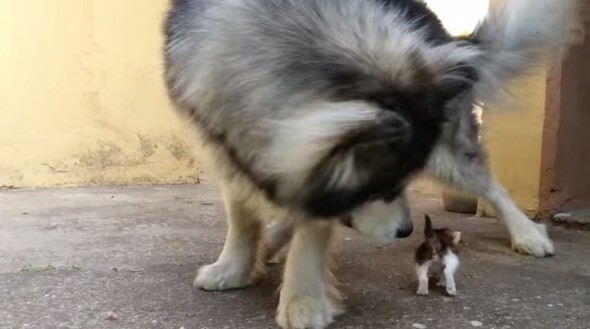 Bak has really stepped into his role as a guardian of this adorable kitten, and treats Maju with love and respect.